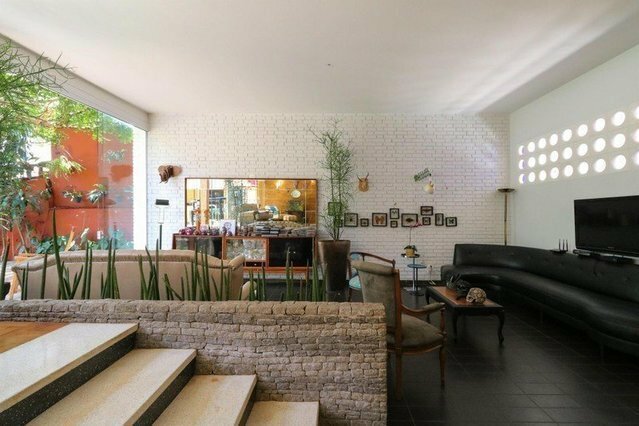 Located in a very quiet street of Brooklin Novo right next to Sociedade Hípica Paulista (Equestrian Society of Sao Paulo), this 270 sqm house is built on a 1.000 sqm lot. The property has a country atmosphere that creates the perfect ambience for a rest from the metropolitan life. The home includes 4 bedrooms, living room, dining room, parking for up to 7 cars and a beautiful external gourmet space, all surrounded by a charming wide garden.